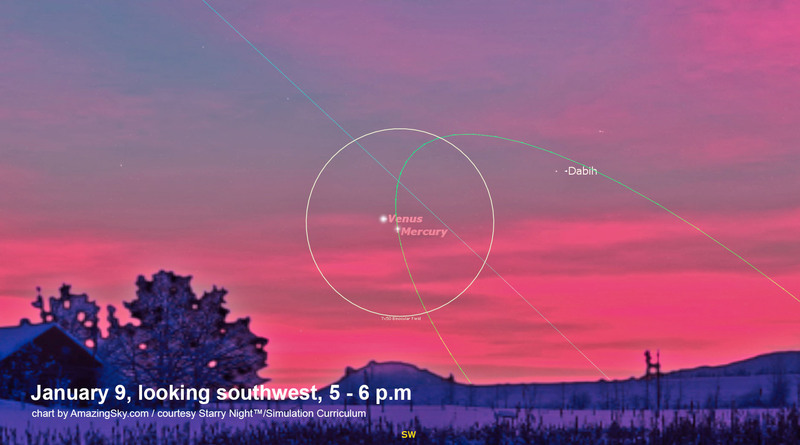 The two inner planets, Mercury and Venus, meet up in the dusk sky this weekend. While I usually devote my blog to showcasing my photos of celestial events and wonders, a New Year’s resolution for me was to expand my blog to include alerts to what’s coming up in the sky. Here’s the first entry for 2015. This weekend and for the following week (January 9 to 18) look southwest to see brilliant Venus accompanied in a close conjunction by elusive Mercury. Look low in the southwest between 5 and 6 pm local time. Venus is brilliant and hard to miss. Yes, that’s Venus not an aircraft! But Mercury is fainter and is best seen at first in binoculars, as a dimmer star near Venus. 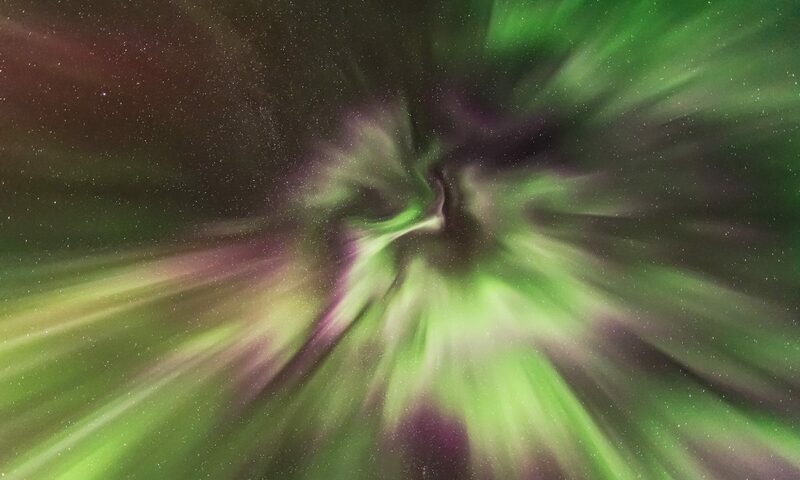 Once you sight it, it’ll be easy to see naked eye, as long as your evening sky is clear. Mercury passes less than a degree from Venus this weekend (the circle shows a typical 7° binocular field). 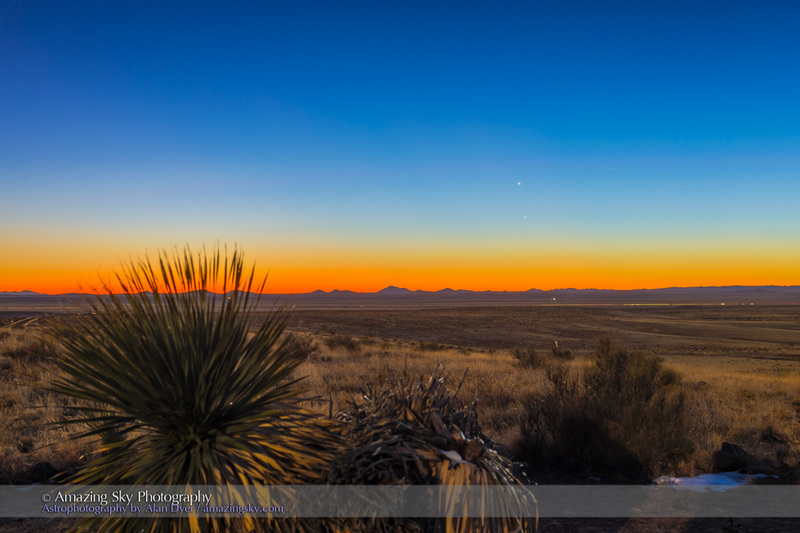 Here are the two planets as they appeared last Sunday night, when they were farther apart. P.S. Visit my webpage to download a PDF of a free 2015 Sky Calendar. This is great, I love the heads up and new approach. Thank you!